More than a year after the deadly Unite the Right rally in Charlottesville shocked the nation, some companies considering a move to the area still ask about the lingering effects of that day. Chris J. Engel, Charlottesville’s director of economic development since 2012, says that when companies ask about the August 2017 rally that resulted in the death of Heather D. Heyer, they are curious about how the traumatic event has impacted city revenues, real-estate values and rents. 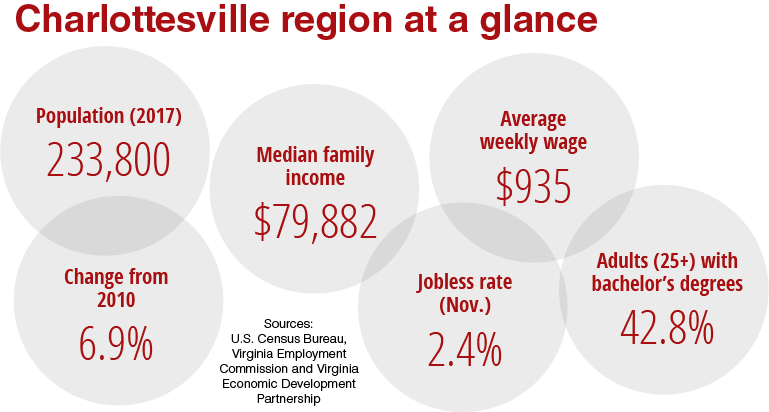 Engel responds that Char­lottesville companies still are hiring, unemployment remains low, and certain tax revenues are up. Engel says it helps that the one-year anniversary of the rally didn’t have the same consequences as the original event. Last year also saw a three-week trial in Charlottesville, at which a 21-year-old Ohio man was convicted of killing Heyer and injuring dozens. In passing a verdict that made headlines around the world, a jury recommended that James Alex Fields Jr. serve a life sentence plus 419 years; a sentencing hearing is planned for March. As Charlottesville continues to heal, important parts of the city’s economy have continued to grow. Nonetheless, unrelated challenges persist with issues like the availability of affordable housing. The population for the Charlottesville Metropolitan Statistical Area is projected to continue growing at a faster rate than the state. 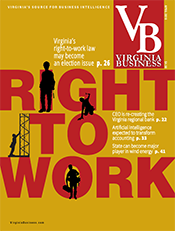 Charlottesville’s MSA, home to 218,705 people in 2010, is projected to have 243,007 residents in 2020, according to a Virginia Employment Commission report. The area includes the city and the counties of Albemarle, Buckingham, Fluvanna, Greene and Nelson. As the region’s population grows, its unemployment rate has declined to a level lower than state and national averages. In 2017, the Charlottesville MSA’s unemployment rate averaged 3.3 percent — down from a high of 6.5 percent in 2010. In November 2018, the jobless rate was 2.4 percent. As more people and companies move to the area, calls have increased for more affordable housing options, a concern that’s attracted attention even in the entertainment industry. Demographics and economic indicators aside, two areas where the city is seeing notable activity is a pipeline of new office space and a regional collaboration on bulking up the area’s startup scene. 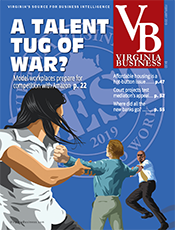 Charlottesville’s office market has seen below-average vacancy rates, but there are projects in the pipeline aimed at addressing the tight office market. 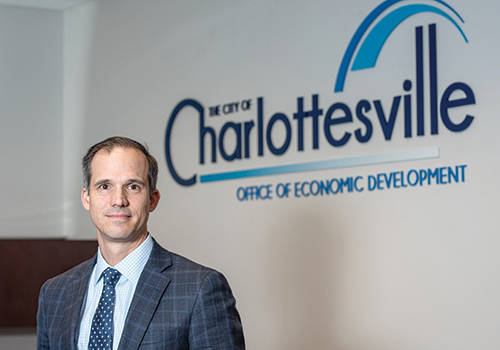 The city’s office market vacancy rate was only 1.7 percent in August — well below the more typical rates of 5 to 10 percent, according to a market study commissioned by Charlottesville’s Office of Economic Development and its Economic Development Authority. The study says that over the years, as demand for office space has grown and no new space has been built, the market has become constrained. But things are changing as more office projects come on line. 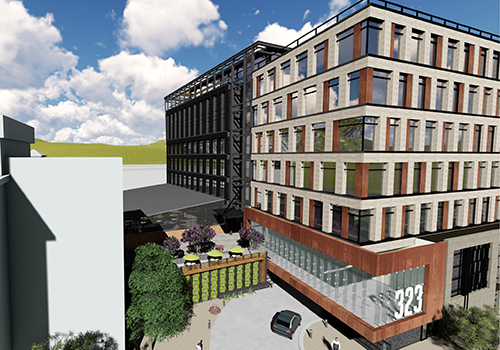 One project, planned for completion in 2020, is a 120,000-square-foot, five-story office building branded 3TWENTY3 at 323 Second St. SE. 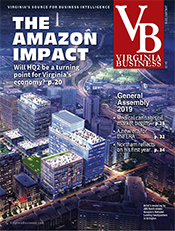 It’s being developed by a group led by Insite Properties LLC, a Charlotte, N.C.-based commercial real estate firm with an office in Charlottesville. 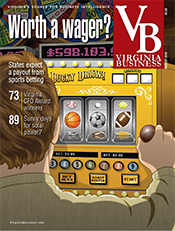 3TWENTY3 will cost $45 million to $50 million to develop, says Jay Blanton, Insite’s founder and managing owner. Rents will be on the higher end for Char­lottesville, ranging between $34 and $38 per square foot, he says. Atlanta-based Batson-Cook Construction is building 3TWENTY3. The architect is Charlotte, N.C.-based BB+M Architecture. Jay Kessler is the project manager and represents the ownership group for the project. The law firm McGuireWoods has leased 17,218 square feet on the third floor of the building. John Pritzlaff of Cushman & Wakefield|Thalhimer, who handles leasing on the project, says there is another committed office space tenant but declined to say who it is. 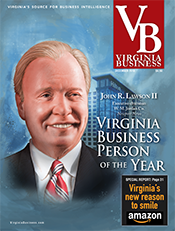 Outside of downtown Charlottesville, Keith O. Woodard of Woodard Properties is working on a 39,500-square-foot office building called The Greenleaf Center at 1143-1147 Rose Hill Drive. Woodard has the Rose Hill Drive property and its approved site plan listed for sale with Bob Kahn Realty & Investment, but he wouldn’t disclose the asking price. Woodard said in January that, if he doesn’t find a buyer in the next month or two, he will move forward with construction on The Greenleaf as an office rental property or possibly as whole-floor unit condos. 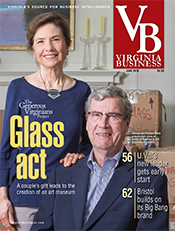 In 2016, Charlottesville caught national notice when Entrepreneur magazine named it the fourth-best city in the country for entrepreneurs to live in and launch companies. The ranking recognized the work done by University of Virginia’s W.L. Lyons Brown III Innovation Laboratory (commonly known as the i.Lab at UVA), the Community Investment Collaborative and the Charlottesville Business Innovation Council. Fast forward to today, and work continues to make the region even more hospitable to area startup hopefuls. The city of Charlottesville, Albemarle County and U.Va. 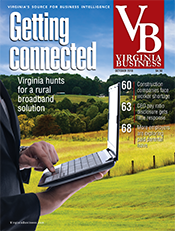 are working on a grant application for GO Virginia, a regional economic development project, to help fund a program to grow second-stage companies. The effort is dubbed the Catalyst Accelerator Program. David Touve, the senior director at the i.Lab at U.Va., says they are applying for about $486,000 over a two-year period. He says the money would be matched by a combination of funding from the economic development offices of Charlottesville and Albemarle and U.Va.’s Batten Institute for Entrepreneurship & Innovation. “We are expanding upon the programs we now offer to build out the structure, programming and resources for a ‘slow-moving’ accelerator,” Touve says. 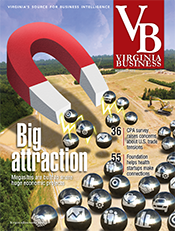 Charlottesville has struggled to keep up with the rate of utility patent grants (a measure of entrepreneurial activity) and venture capital investment seen in similar university-anchored regions such as Durham-Chapel Hill, N.C., and Austin-Round Rock, Texas, according to a market study commissioned by the Office of Economic Development and its Economic Development Authority. Touve says the new program would help startups bridge the gap between the initial development of their products or services and the earliest sources of outside capital. “We have observed that navigating this gap usually takes months rather than weeks, especially for first-time founders,” Touve says. 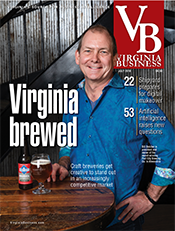 If fledgling entrepreneurs represent one side of the gap between business ideas and the capital that startups need, groups like the Charlottesville Angel Network represent the other side. 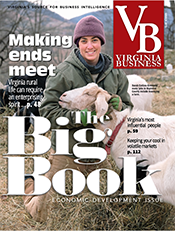 Tracey Greene, the founder of the Charlottesville Angel Network, sees a broader collaboration among important entities to cultivate local entrepreneurship. “We want to leverage, highlight and strengthen the numerous resources we already have here and develop a common vision,” she says. Founded by Greene in early 2015, the angel investor group has doled out about $7.18 million to 35 startups. Nearly half of those companies are based in Charlottesville, she says, with about a quarter from other areas of Virginia and D.C., and the rest based in other parts of the U.S. and overseas. 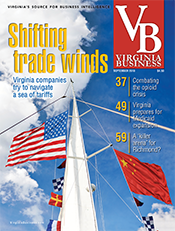 Greene says Charlottesville is seeing an uptick in startups involved in biotech and biomedical devices, cybersecurity, and food and agricultural companies. “As all of these companies form and grow, they create a strong pool of well-paying jobs that attracts talent,” Greene says.